Boo! 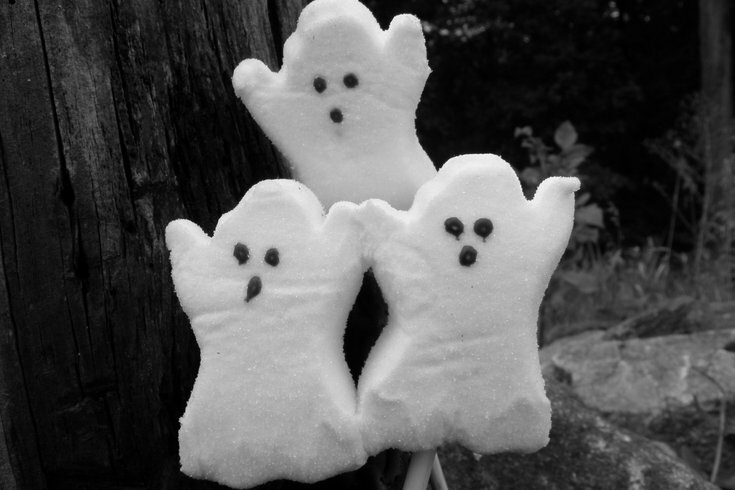 Let's hope the ghosts in PAFA are cute like these guys. Pennsylvania Academy of the Fine Arts (PAFA) has been embracing the paranormal recently. Fernando Orellana’s exhibition of ghost machines has been on display since August, but with Halloween around the corner, the Academy is ready to go spookier. During PAFA After Dark: Paranormal Creativity, which will take place Oct. 19, a few bonuses will be thrown on top of the typical exhibit tour. Admission to the event is $15 per person (PAFA members can attend for free but still need to register). Next month's PAFA After Dark is scheduled for Nov. 16.